Poor bird; your window is so clean that it sees inside and thinks that would be a good place to build a nest, where it’s dark and enclosed (by contrast with outside), and so flies into the glass. 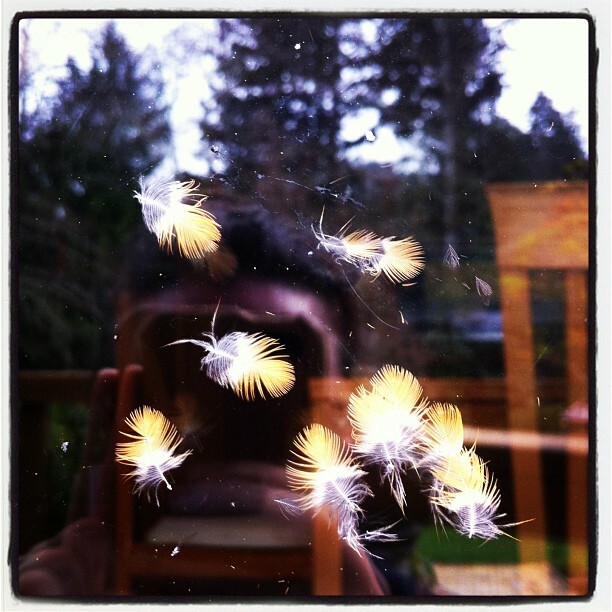 A merciful excuse for not cleaning the windows so often! Wow! Great picture, both you and that poor bird have had quite the morning!